The residential housing market underwent significant growth during 2002-2007 which resulted in record levels of sales, consents and property investment. The initial onset of a changing market become evident in early 2008 with reduced buyers, increased listings and resulting falls in prices. 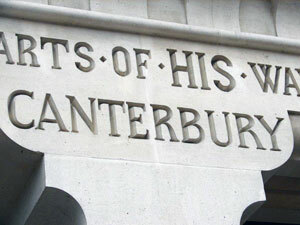 The early signs in 2010 indicated a muted but mainly positive residential market however leading into the winter months sales slowed and following the September 2010 Canterbury earthquake sales have been at their lowest for some time. Following the February 2011 quake strong interest initially centred around the north-west of Christchurch and Rangiora then expanded into Rolleston and smaller outlier townships in Selwyn as people sort out affordable sections and property. Values continue to increase in Christchurch, as they have been doing since this time with a 4.0% increase above the same time last year and at the 2007 market peak according to State Valuers QV Valuations. Strong price growth continues in Waimakariri District are showing a 12.0% increase over the last year and Selwyn District an 11 % increase according to QV Valuations. The increases above have been fuelled by strong demand in the unaffected areas of Christchurch which has also resulted in reduced selling times and multi offers from affected parties in the red zones. Sales activity continues to be subdued within the central city, hill suburbs and some of the north eastern suburbs however market sales are occurring in white zone areas and around Kaiapoi adjoining the red zone. Given the level of section uptake in unaffected areas of Christchurch and Canterbury there is a general perception of a lack of supply for sections. However the recent land rezoning brought forward by the Earthquake Recovery Authority will in the medium term provide an abundance of sections with an estimated 9,000 to be available in 2-5 years far in excess of current supply levels. At present we are also now seeing a number of investors purchasing cheaper accommodation with the current high rental demand in Christchurch. The lifestyle market has also shown a marked uplift with good demand by multiple purchasers particularly in the under $900,000 bracket. Overall there continues to be general uncertainty in the market given current economic conditions and the recovery of Christchurch however everyone needs a place to live. We would anticipate no grand price expectations in the medium term for Christchurch in line with rest of New Zealand however some price inflation may occur should demand exceed supply in unaffected areas particularly with new cashed up purchasers from the red zones of Christchurch. fee simple, life estate or stratum estate ). Leasehold (you can also have a stratum estate in leasehold). Unit title or cross lease (the ownership flat situation). Company lease or license (note that a license is not a title, but a right to enter land). A notation shown on a title where the property has not been properly surveyed. Requires a resurvey, new pegs, calculations and reports to Land Information New Zealand. May take 2-3 months to rectify at cost of $ $6,000-$8,000. The main affects of this notation would be where a property is to be subdivided or a significant addition to the residence which would require confirmation of the boundaries. Any purchase of a property with this notation should have the purchase price adjusted accordingly. Not a very common term but may still apply. Normally associated with very old surveys and means the owner of the property cannot be identified by Land Information New Zealand. Probably the most familiar form of ownership to buyers of residential real estate. Depending on where you are from, you may not know of any other way to own real estate. Fee simple is sometimes called fee simple absolute because it is the most complete form of ownership. A fee simple buyer is given title (ownership) of the property, which includes the land and any improvements to the land in perpetuity. Aside from a few exceptions, no one can legally take that real estate from an owner with fee simple title. The fee simple owner has the right to possess, use the land and dispose of the land as he wishes--sell it, give it away, trade it for other things, lease it to others, or pass it to others upon death. leasehold interest is created when a fee simple land-owner (Lessor) enters into an agreement or contract called a ground lease with a person or entity (Lessee). A Lessee gives compensation to the Lessor for the rights of use and enjoyment of the land much as one buys fee simple rights; however, the leasehold interest differs from the fee simple interest in several important respects. First, the buyer of leasehold real estate does not own the land; they only have a right to use the land for a pre-determined amount of time. Second, if leasehold real estate is transferred to a new owner, use of the land is limited to the remaining years covered by the original lease. At the end of the pre-determined period, the land reverts back to the Lessor, and is called reversion. Depending on the provisions of any surrender clause in the lease, the buildings and other improvements on the land may also revert to the lessor. Finally, the use, maintenance, and alteration of the leased premises are subject to any restrictions contained in the lease. Crosslease was a popular form of subdivision over 20 years ago when it circumvented the ordinances creating subdivisions at the time and was generally cheaper than free holding. A typical form of ownership grants a lease over the subject site and gives exclusive rights of ownership of each units and defines common areas such as driveways, walls, gardens and access paths for typically 2-15 units. A flat pan will illustrate the site layout but with only the building footprint being accurate. The lease is typically of a 999 year duration and contains provisions as to the maintenance and repair of buildings, common areas, restrictions on the use of the buildings and occupants. There are a number of versions of these leases so no two cross lease developments could be the same and requires the investigation by a solicitor to quantify the quality of the lease. Problems can occur where a lease has onerous and outdated conditions such as limitations on the type of occupier- ie no tenants or no pets. Similarly one flat could be a disproportionate amount for common area or building maintenance costs. Additionally properties can be added to over time without the permission of other flats and without amendments to the flat plan. Generally decks and pergola are permitable. The cost to rectify can be from $7,000 plus legal and includes a resurvey of the site to update the flat plan and a new lease.